Hotel chains have been wanting new alternatives that let patrons check-in, for some time now. That’s why Marriott began testing smartphone check-ins in 2006, and some locations have used RFID, iris scanners, biometric identifiers and other tech to make locked doors easier. This month, InterContinental Hotels Group announced that they will be trying OpenWays at Chicago’s Holiday Inn Express Houston Downtown Convention Center. 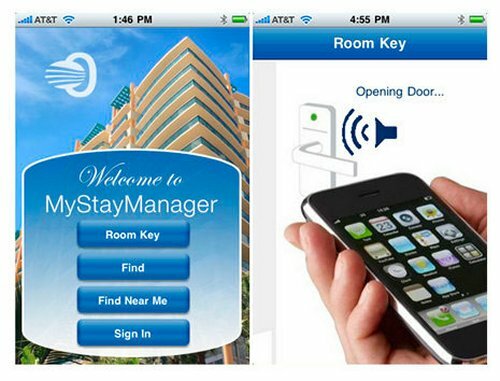 It allows iPhone owners to use an app to open room doors. Other smartphone platforms will be supported, and users will also be able to use their phone to order other services, extend their stay or pay for broken items. 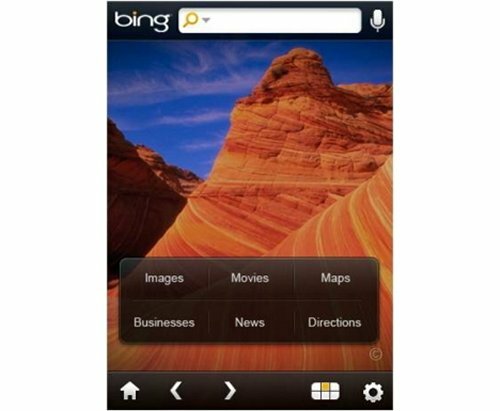 Bing to replace Google as default search engine on iPhone? Look out Google. Word on the street is that Microsoft Bing will be replacing Google as the default search engine on the iPhone. There’s no confirmation on this, but it does fit what we’ve been hearing about talks between Apple and Microsoft. Then again some sources are saying that Apple and Microsoft are just talking about adding Bing as a search engine option on the iPhone instead of replacing Google. I’ll guess we will learn one way or the other soon enough. New iPhone launching in June? 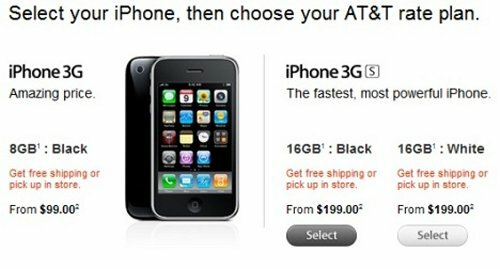 There aren’t many details yet, but according to the guys over at BGR, some AT&T employees have confirmed that the iPhone 4G will be launched in June. That seems pretty fast since it’s scheduled to be unveiled in early June. But maybe Apple wants to just get it over with at this point since the cat was let out of the bag awhile ago. If this is true you won’t have to wait long at all. Elgato has just updated their software to include what they claim will be the world’s first fully-functional HD DVR for all of Apple’s devices. The function called EyeTV HD is designed to record live TV in HD. It will be compatible with your iPhone or iPad as well. 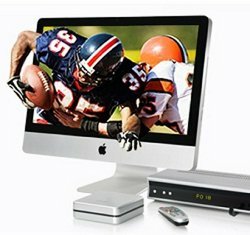 The EyeTV HD just goes into your Mac and your set top box and the video can then be streamed to your iPhone or iPad. It will cost you $200 and includes the HD recorder hardware and software, a remote control and IR channel changer, USB cable, component video cables, stereo audio cables, and a switcher for composite and S-Video input. Looks like it’s the end of the line for the iPhone 3G. If you’ve been perusing the Apple online store today, you might have noticed that the button to select the 8GB iPhone 3G is gone. It simply disappeared from the Apple store as if abducted by a gadget loving alien. Normally if an item is out of stock at the Apple store, it’s listed as out of stock, but this time there isn’t any mention of what’s happening to the iPhone 3G. So our guess is that it is history. Kaput. Done. 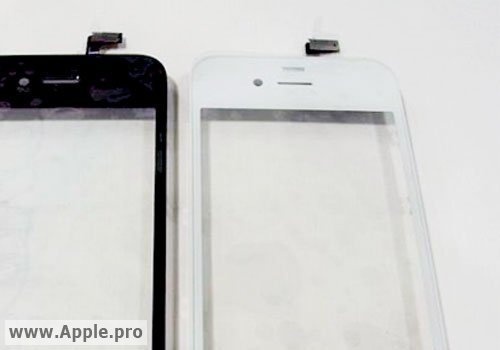 So we saw the white front plate earlier this month and now Chinese site Apple.pro has some shots of what it claims to be the white next-gen iPhone, fully assembled and laying next to the black model we’ve seen many times. You can almost hear the sweet sounds of them singing Ebony and Ivory. Touching. Mythbusters style, we’re calling this rumor confirmed. Now all you need to do is choose which color you want, back-in-black or Wazz-up white? Choose wisely. 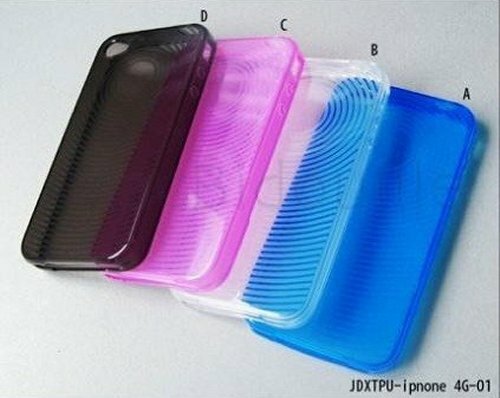 Looks like the first next-gen iPhone cases are starting to surface. Hardmac received the image above from one of its contacts in China, the model name reveals the manufacturer to be Shenzhen Soonleader Electronic Co. It has all the right curves, including a larger opening for a flash and the spaces for the new side buttons can be seen. This might just be the manufacturer trying to get a jump start, or it could be something more official. Will there be an all white iPhone 4? The Apple leaks just keep on trucking and leaking like a old faucet. Taiwanese site Apple.pro says that the next generation iPhone may come in an completely white version. According to them these photos are proof. It’s good enough for us. And besides, Apple has done it before. But as we remember, most people wanted the black version. Maybe they just won’t bother offering the white one up in Australia this time around. 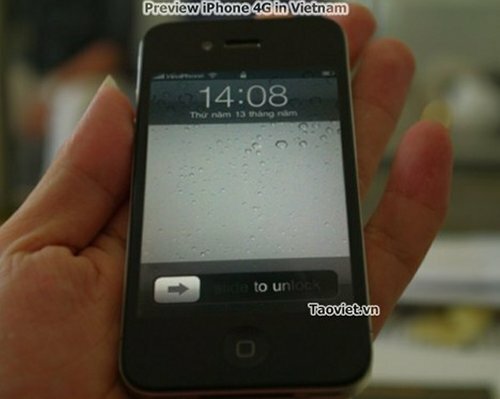 iPhone 4G to get a 960 x 640 display? We’re hearing more rumors about the upcoming iPhone 4G. 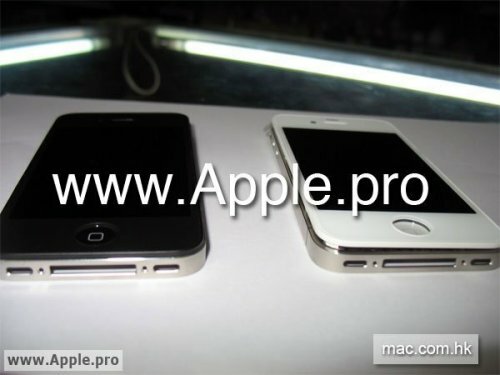 The latest rumors say that the iPhone 4G will be getting a 960 x 640 pixel display. If the rumor is true, the device will not only get a higher resolution display, but will also a higher quality IPS (in-plane switching) panel along with FFS (fringe-field switching) technology to make it easier to read when outdoors. All of those changes would be welcome. LG Display and Prime View International have been named as the suppliers for the new display. Apparently the panel will be a third thinner than previous models, which makes room for larger battery. Again, nice news if true. How about 512MB of RAM to double the iPhone 3GS and iPad? 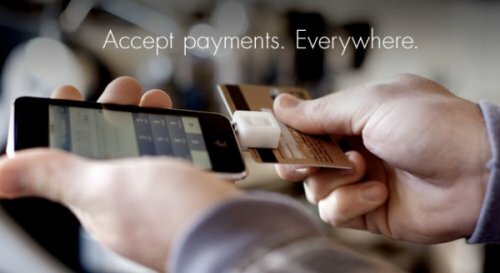 The release of the Square Payment System is here, allowing you to use your iPhone as a credit card reader. Square will also support the iPad and Android devices. The app is already available in Apple’s App Store and the credit card reader is free to those who sign up. The service isn’t free, however. Retailers will have to pay fees that start at 2.75 percent, as well as a 15 cent surcharge. But the setup cost is probably cheaper than other options out there. 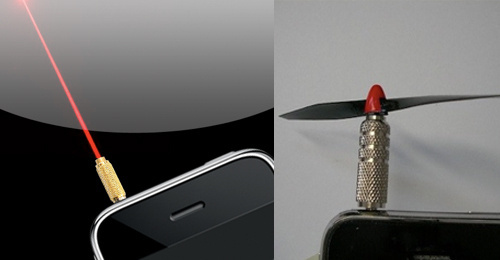 Your iPhone just became even more versatile. Now you can turn it into a fan, a flashlight, even a laser, thanks to German company HMB TEC, who has created peripherals that plug into the headphone jack, controlled by special apps. The fan costs 19.90 € with no app needed to control it. The laser costs 20 € with $5.99 for the app. Some other accessories HMB TEC has come up with include a flashlight, thermometer, heart monitor, infrared remote, microphone and stethoscope. Now there really is an app for everything and your iPhone can do it all. Visa is paving the way for iPhone owners to be able to make payments with their handset at special terminals. This wireless credit card payment system is the first of its kind in the world. 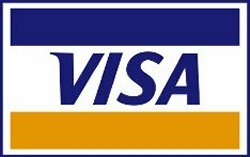 It will involve a customized payment software called Visa payWave, which will come pre-installed on a memory card. The iPhone itself lacks an external memory slot, so it will require you to buy a new iPhone case that is Apple-certified. This makes everyone richer, including the case manufacturer. Everyone except for you. Your money will be leaving with the case and with every transaction. Apparently Apple doesn’t like satire when it’s about their company and their devices. 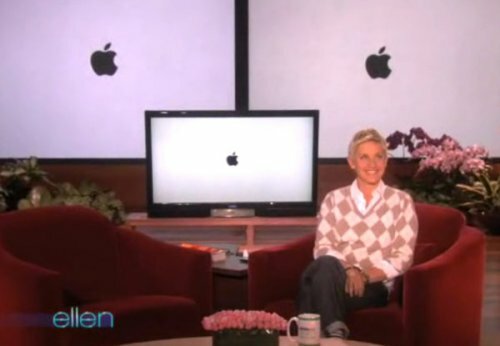 Seems like they think it’s A-Okay to bully Ellen into apologizing for spoofing an iPhone commercial. Seriously Apple, I’m starting to think you go out of your way to create bad PR and a Gestapo-like image. Ellen isn’t exactly my cup of tea, but she shouldn’t have to apologize for a simple spoof. When Hitler gets wind of this one he won’t be happy. Bet you can’t get him to apologize. 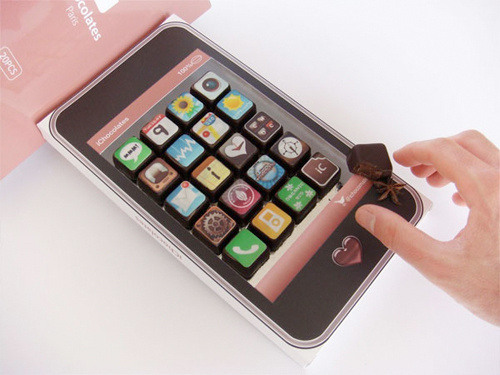 Nothing says I love you like iPhone chocolate apps. These iChocolates are a 20-piece gourmet chocolates assortment which resemble iPhone and iPad app icons, boxed in a luxury iPhone-like package. They look iDelicious. These are handmade in France and on Etsy now for $46.44 per box. Not a bad price for a geeky treat. Come on Apple nerds, if you REALLY loved Stevie Jobs, you’d send him this. And he would be yours forever.